Evoking scenes of nature and freshness, this new offering on our Tranquila series of responsive WordPress spa themes is a delight to behold and to manage. As with our first offering, this spa and yoga studio theme is image-centric - with inspiring and calming images providing an ethos of serenity to your spa website visitors. Built to run seamlessly with the WordPess Genesis framework, this spa theme is also as easy to customize and manage as it is stunning visually. Being a fully responsive theme, your website will also display well for visitors whether they’re accessing the web via desktop, tablet, or mobile phone. We also provide the full live demo install file. 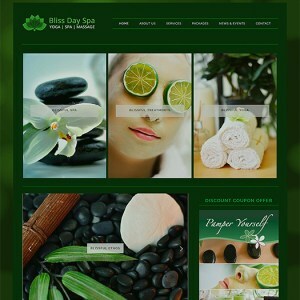 This ensures you can get your spa studio website up and running quickly and easily. And from there making customization edits is a snap.